To create a smart piece of ghost hunting equipment, you need to start with a computer. Seems obvious enough, right? But obviously said computer has to be small as well. In part one of this installment of DIY ghost gear, we’ll introduce you the Arduino microcontroller platform. In part two, we’ll discuss the Raspberry Pi and Intel Edison. The same innovation which led to smaller, more powerful smart phones also led to smaller, more powerful handheld computers. The amazing success of smart, Internet-connected devices like the Nest Learning Thermostat* has driven inventors to try to create the next big thing. Every week there is a new, intelligent gadget on Kickstarter it seems. This web of smart, interconnected devices comprises what has come to be called the Internet of Things (IoT), and this is what is driving the manufacture of small but powerful computers. It’s amazing to think that a credit card sized computer like the Raspberry Pi is more powerful than old “super” computers that once occupied a whole room. Let’s survey the microcontroller landscape in order to help you choose which of these devices you may want to use in your next project. 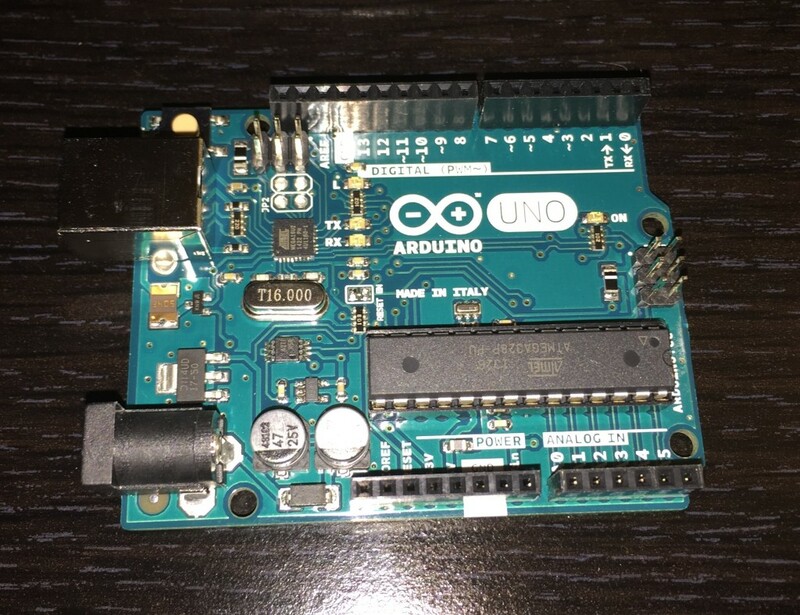 The Arduino Uno is the most popular, basic model of Arduino which can accept shields. Arduino is an open platform. Anyone can manufacture these devices without paying any sort of licensing fees to the Arduino’s original creator. Arduino is simple to use. Arduino is fairly powerful. Although not the most powerful platform, Arduino can still get the job done. This has led to mass adoption and a huge support community, which has in turn contributed to even wider adoption. The community has created a large number of free/open source libraries. Shields add many different functions such as motor control, SD card storage, and ethernet connectivity. Shields can often be stacked on top of each other. There are also generalized prototyping shields that can be used to create your own new circuits. 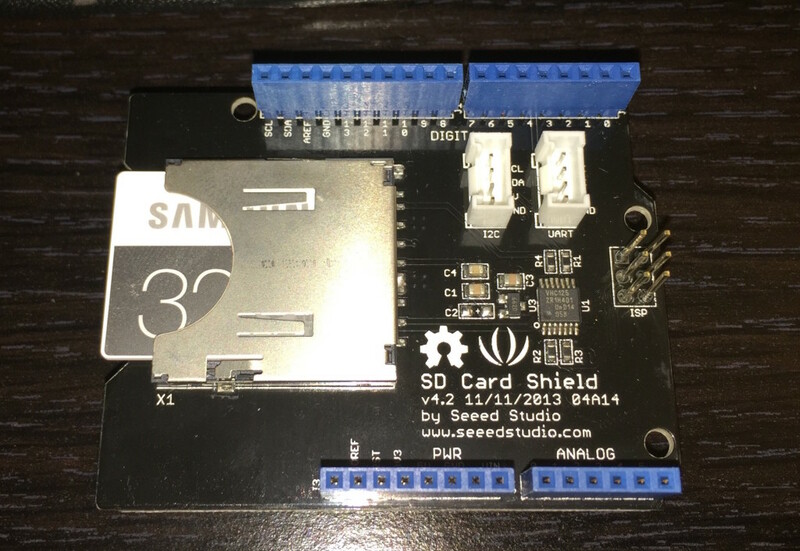 The SD Shield pictured here has pins on the bottom which allow it to be connected to certain Arduino models. Another shield can also be stacked on top. Shields are Arduino’s “killer feature” in my opinion. By far the most popular unit that can accept shields is the Arduino Uno. At roughly $24, it’s a cheap way to get started. If you have a few extra bucks, there are also starter kits that will accelerate your learning by providing the tools necessary to experiment with different electronic parts. The Uno is a great little unit, but it’s somewhat limited as far as the size of programs that can be run on the unit. Add-on libraries (which simplify certain operations) can take up a lot of storage space making it impossible to add extra shields sometimes. Enter the Arduino Mega 2560. In contrast to the Uno, which has 32 kilobytes of flash memory, the Mega has 256 kilobytes. That’s eight times the memory! The good news is that extra storage does not cost eight times the price. At the time of this writing, a Mega can be picked up on Amazon.com as low as $36.48. If you want to pay a little more for convenience, many Radio Shack stores also carry Arduino Uno and Mega units as well as some of the more popular shields. In most cases, the same shields that work with the Uno also work with the Mega, although you should research each new shield before purchasing to assure compatibility. We’ll cover specific applications for the Arduino in future installments. Stay tuned for part two. *This post contains affiliate links, which, at no extra cost to you, help pay our expenses when you purchase one or more of the items.